It has been a long time since I bake anything with green tea. Piggy Josh bought two small can of Japan green tea powder back for me from the Lion City and I have used it once only. 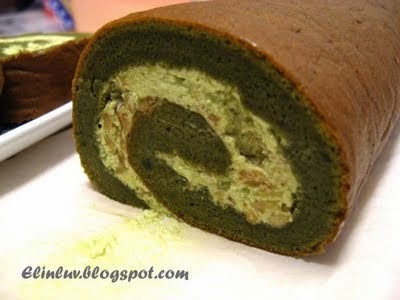 So Green Tea Souffle Roll Cake I made and I took the recipe from Daily Delicious. Mmmm yummy , I would recommend that you try this cake. 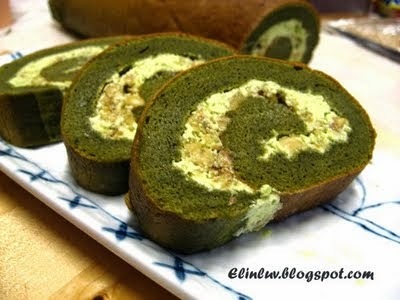 A lovely roll cake that I will bake again and again.